Newegg just took out one of the biggest patent trolls on the web. A troll so pervasive, it threatened to put out a mafioso lawsuit-insurance tax on basically every online retailer on the internet. Here's how it happened, as told in a great writeup over at Ars Technica. The troll in question was Soverain Software. On the surface, Soverain was an active member of the tech industry, with business deals and patents to prove it. It was all a shell, though; the company's true mission was collecting broad patents and suing the world. It was suit-happy, sure, but what made Soverain a cut above the average patent troll was that it had an actual endgame. 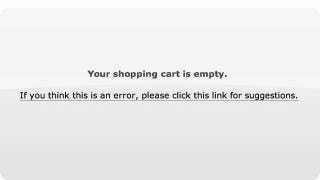 It wanted one percent of every single transaction on the internet that used a shopping cart. For many retailers, that would be massive trouble considering their slim margins—even monolithic Amazon has trouble making ends meet. So Soverain sued Newegg and won in 2010. Soverain also won a lot. It took $40 million off of Amazon in 2005, a combined $17.9 million off of Victoria's Secret and Avon and a 1 percent tax on all sales, and an undisclosed amount from The Gap, to name a few. Then, in 2010, it won $2.5 million off of Newegg. But Newegg decided to keep fighting. Newegg's case consisted of what many successful anti-patent-troll defenses consist of: convincing prior art—in this case Compuserve Mall—and a healthy, if uncommon, dose of common sense. Newegg's Chief Legal Officer Lee Cheng told Ars Technica that while much of the win stemmed from Newegg's unwillingness to slink off with its semi-victory of the $2.5 million ruling, just as much rode on the Texan court finally putting its foot down and saying, "No, this is very stupid." The last thing to note here? Cheng also told Ars that a big reason Newegg was able to fight so hard on this case was that it's majority-controlled. That's very different than being privately owned, like Dell is about to (probably) be, but the principle is the same: tighter control for a few people on the same page makes it easier to take a stand. A protracted legal case—when you've already won a favorable decision—might be a hard sell to shareholders. Whether that's on a risky, innovative new product, or just telling a massive, dangerous patent troll to go to hell, that can sometimes work out pretty well.